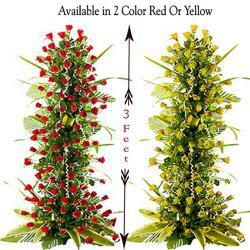 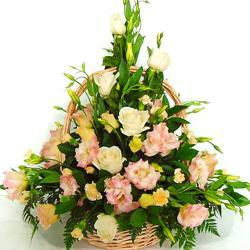 Order this expertly designed floral basket. 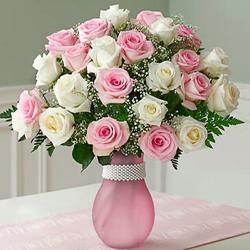 It is perfect for all occasion like birthday, anniversary, wedding and many more to spread aroma of love and happiness. 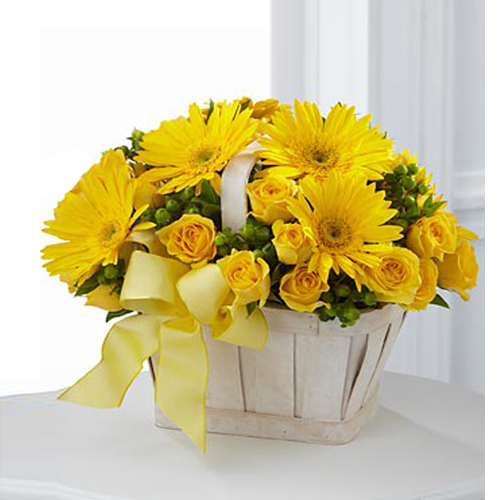 This attractive basket arrangement of 15 Mix Yellow flowers with green fillers surly creates a great impression of yours at your dear ones. 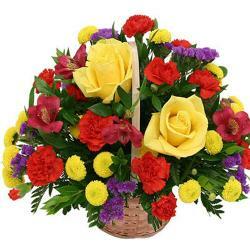 Giftacrossindia.com offers Fix time and Midnight delivery at affordable rates.